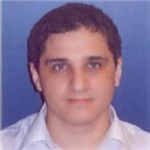 Igor is a business intelligence consultant working in Tampa, Florida. He has a BS in Finance from University of South Carolina and Masters in Information Management System from University of South Florida. He also has following professional certifications: MCSD, MCDBA, MCAD.